Via is working hard to make it easier, faster, and more economical to travel around San Antonio. These efforts can be summed up in their VIA Smartmove initiatives. VIA needed a scalable, easy to manage website to get the word out. That’s where Vuepoint came in. 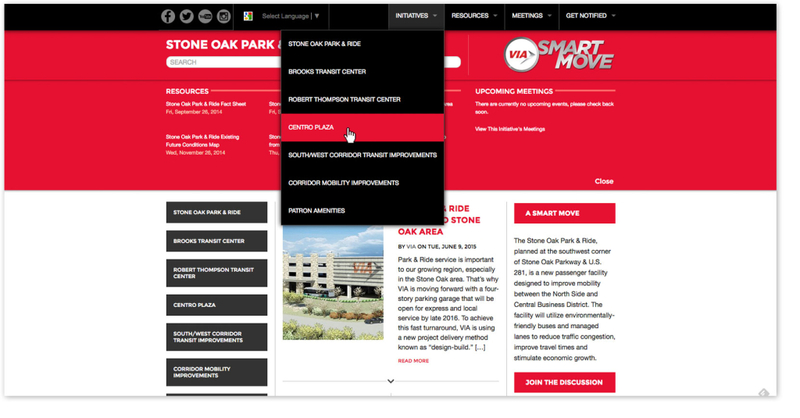 The VIA Smartmove website is organized into seven different “initiatives.” These initiatives each have their own sub sections, including meetings, resources, news, and a gallery. All of which can be managed through a customized WordPress based backend. VIA employees can even add entirely new initiatives without touching a bit of code. In addition to an easy to use backend, the VIA Smartmove website was custom designed to be easily browsable on all devices, including desktop computers, tablets, and smartphones. 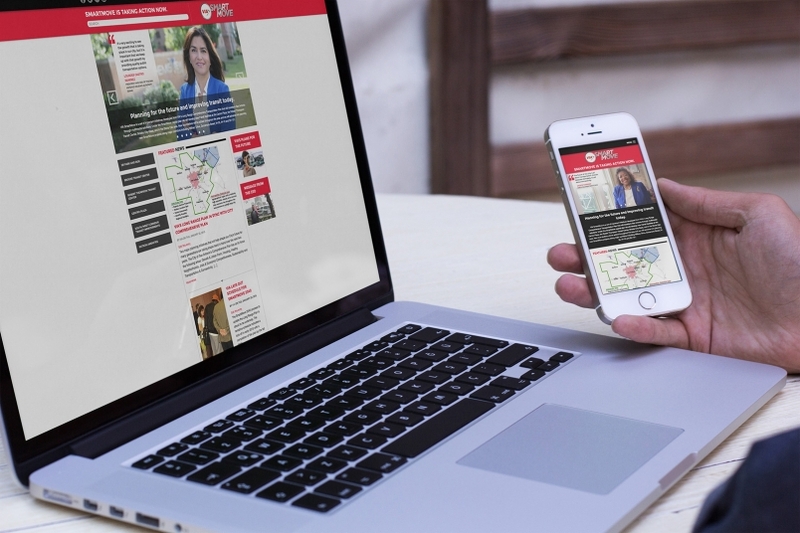 Since a large portion of VIA’s visitors are mobile users, having a “responsive” design was critical for easy browsing while only having one website to maintain.